I did this glitter gradient about a week ago (before my brittle nail disaster.) You have probably noticed I love doing gradients. I just think they are so beautiful & so easy! I had been doing bright ones all summer and wanted a change of pace by using some of my new fall polishes I ordered from Zoya. To create this look I used Zoya Natty & Zoya Fei Fei. 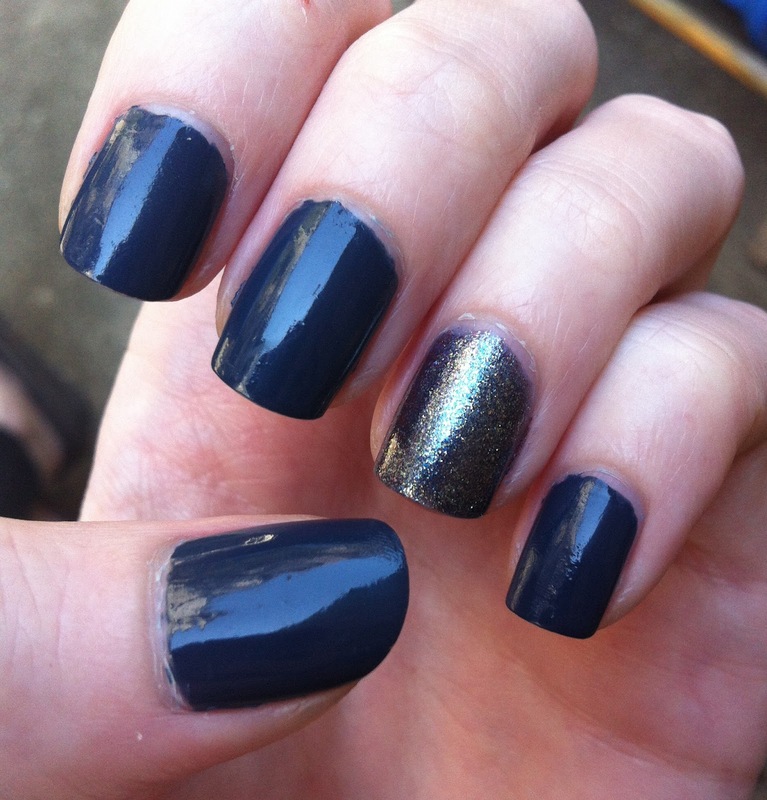 My most recent colour obsession has been with steel blue. Both these polishes have those silver-blue hues but in different finishes, so I thought together they would make a dynamic duo. The first manicure I did after receiving my Zoya order was using Zoya Fei Fei as a ring finger accent and painting the rest of my nails with Natty. The colours are just beautiful! Perfect for fall. In the pictures you can see how Fei Fei shifts from blue to brown. Just gorgeous! After falling in love with them both separately & together, I wanted to create another look incorporating both colours. I decided to use my favourite technique: The gradient. Step 1: Paint your base colour. I happened to have already had Fei Fei on alone for a day before I decided to do this gradient. However, it would be easier to use Natty as the base. Check out that sparkle-y amazing-ness though! Step 2: Using a make-up sponge, paint a stripe of Natty onto the sponge and a stripe of Fei Fei above it, super close so that they basically touch. I have showed more detailed steps in previous posts so check those out! 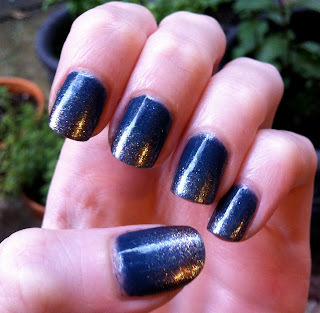 Step 3: Dab the sponge on your nail, slightly moving it higher and lower on the nail until you reach the desired effect. Step 4: Clean up around the edges (it gets messy!) & apply a couple coats of your favourite top coat! && there's the finished look! I absolutely love these colours together! 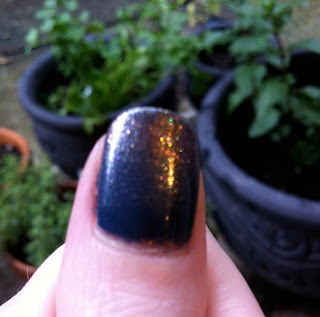 I also love the look of this gradient, it's looks like a glitter gradient but is much more even from using a make-up sponge. 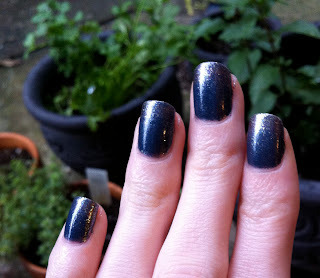 I will definitely be trying more Zoya micro-glitters over creme polishes! 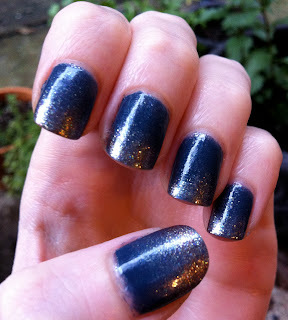 Fei Fei loses a bit of the blue into the sponge but leaves a gorgeous silver glitter that is very fine & dense. Here is an example of the duochrome! Stunning silver to brown shift. Below you can see how the ring & pinky finger are more silver while the other fingers show some of the golden brown. I just love how this turned out! I will be making a repeat out of this one for sure. 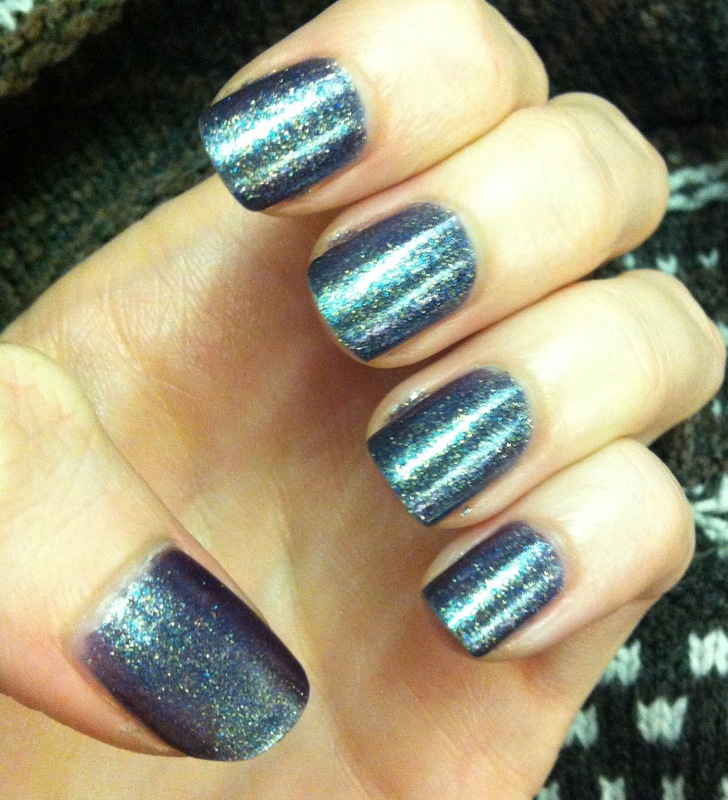 These colours are part of Zoya's NYFW 2012 collection. Natty is part of the Designer collection and Fei Fei is part of the Diva collection. They are available on the Zoya website and retail for $8 each. Rococo was running around our new herbs while I was taking pictures! P.S. I just started following your blog! Love your style!